We believe the arts are vitally important for educating students to be good thinkers. 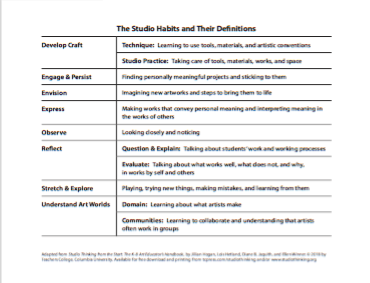 More than 10 years ago, the authors of Studio Thinking: The Real Benefits of Visual Art Education (2007) set out to systematically investigate what it is that visual arts teachers in arts-based high schools teach in their classes, and how these classes are organized. 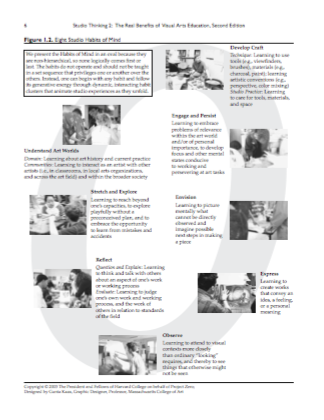 From there, the Studio Thinking framework was born and is now used in classrooms at all grade levels, all over the globe. 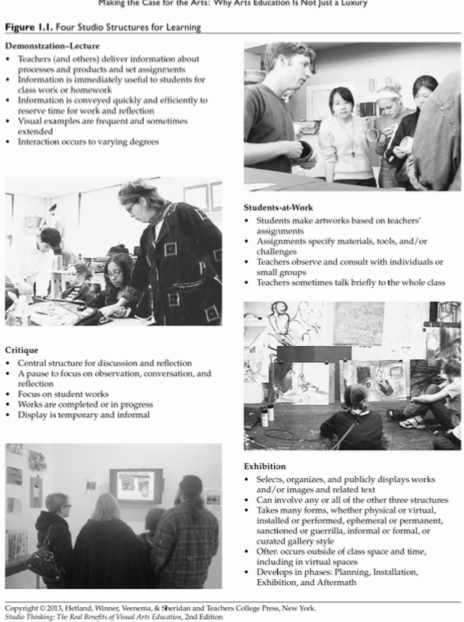 In Studio Thinking 2: The Real Benefits of Visual Art Education (2013), the framework and its descriptions were expanded. 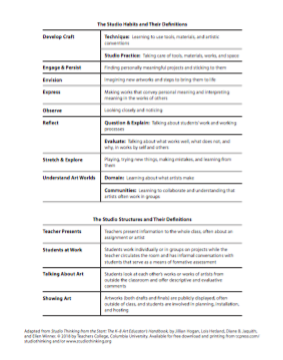 To showcase how the framework has been adapted by teachers at the elementary and middle school levels, Studio Thinking from the Start: The K-8 Art Educator's Handbook (2018) was written. ​Work on Studio Thinking has been generously funded by J. Paul Getty Trust and The Bauman Family Foundation.